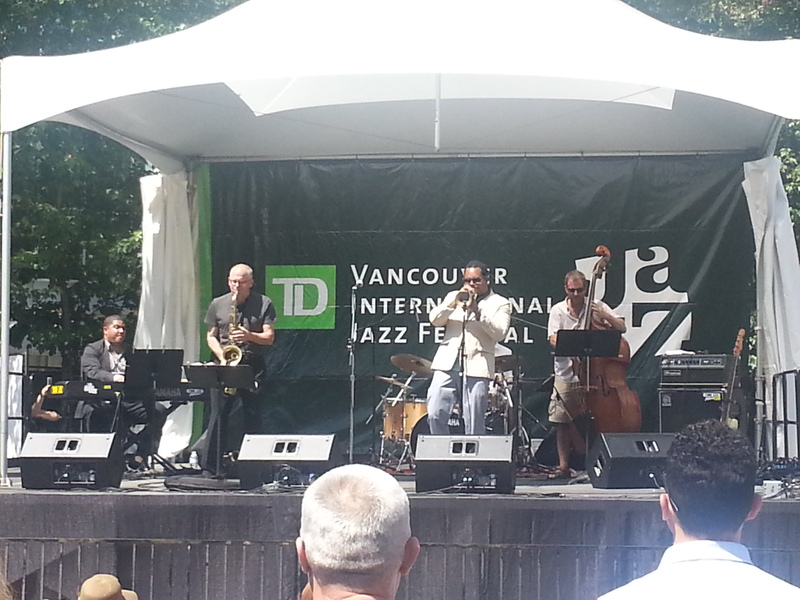 Today I went to Granville Island for some jazz, including the fantastic Bridge Quartet with Phil Dwyer, Darrell Grant, Tom Wakeling and Alan Jones. Excellent music, and free. 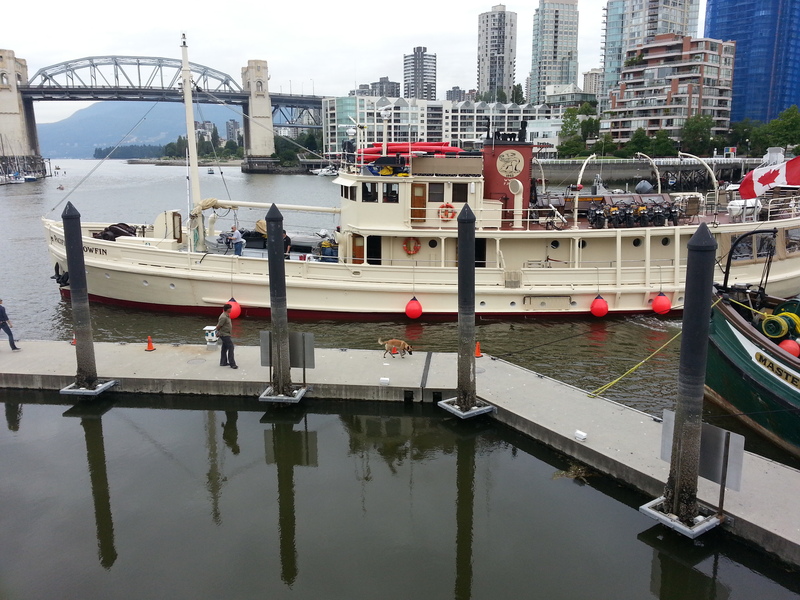 A visit to Granville Island also involves a little ferry ride and the opportunity to look at all kinds of boats. On the way back, I picked up fish and vegetables for dinner tonight: fresh BC halibut with summer greens, all local. I also found some Tio Pepe Palomino Fino, which should go well with the fish and is from the Sherry Bodega we visited when I was stuck in Cadiz last October with my Blue Raven crew. Yesterday was a very busy day. First we participated in the SFU Alumni shore clean up, picking up garbage around the beach at Brockton Point in Stanley Park. 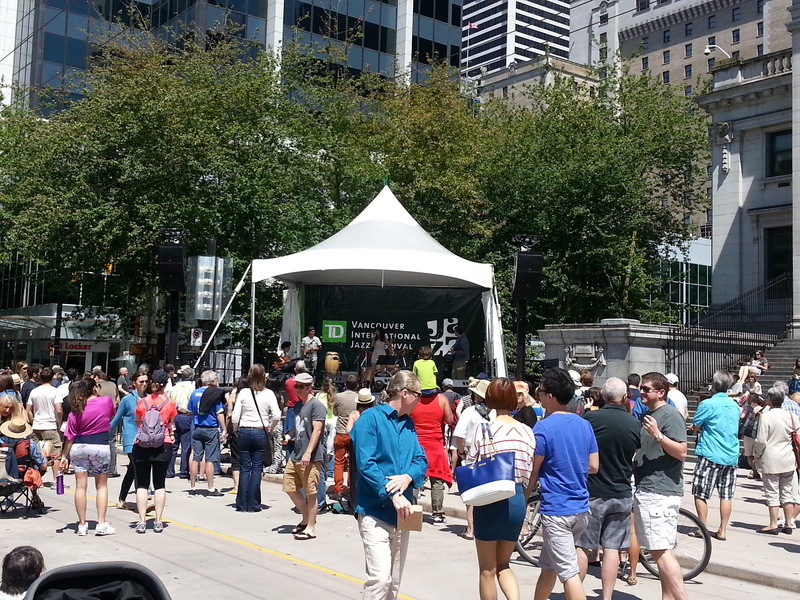 The afternoon was spent listening to free jazz concerts downtown. The annual jazz festival started day before yesterday and again features a large number of free concerts at various locations across town. 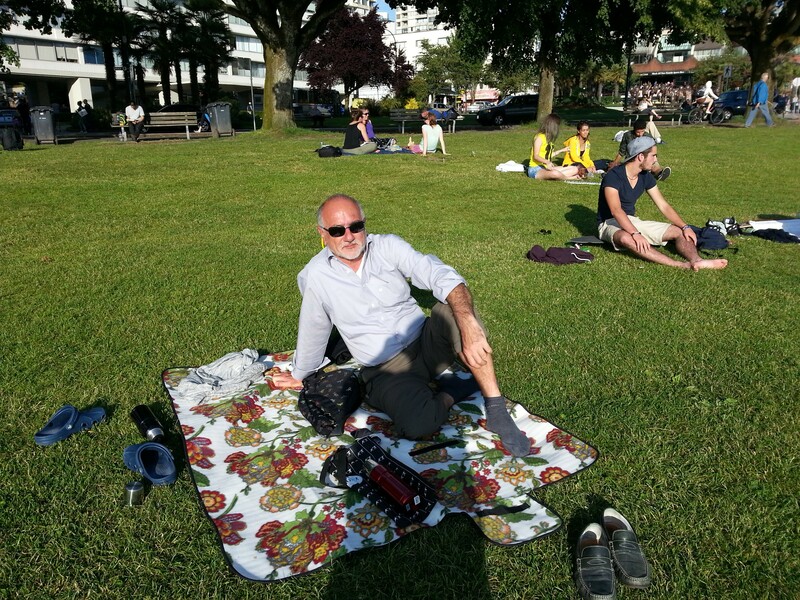 The weather was great and the music good. In a break of the music, I dropped by the Strawberry Festival around the corner from us to enjoy a strawberry short cake. And in the evening, Sheila, her mother and I enjoyed some more jazz in a local wine bar, together with some nice drinks. Great day of music. Summer is here, at least it felt like it this afternoon. 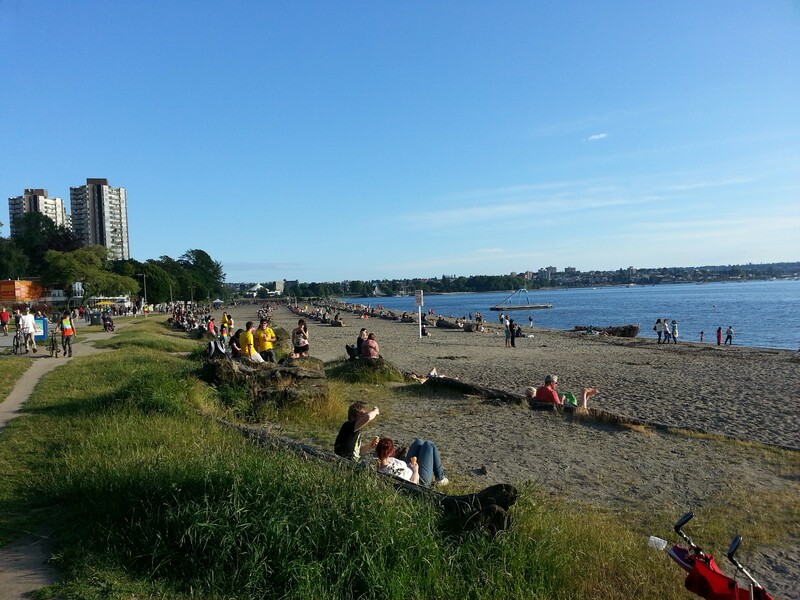 We took a break from managing the mundane aspects of our life in Vancouver here, and headed down to the beach to enjoy a sunny evening and watch all the other people doing the same. Very nice. 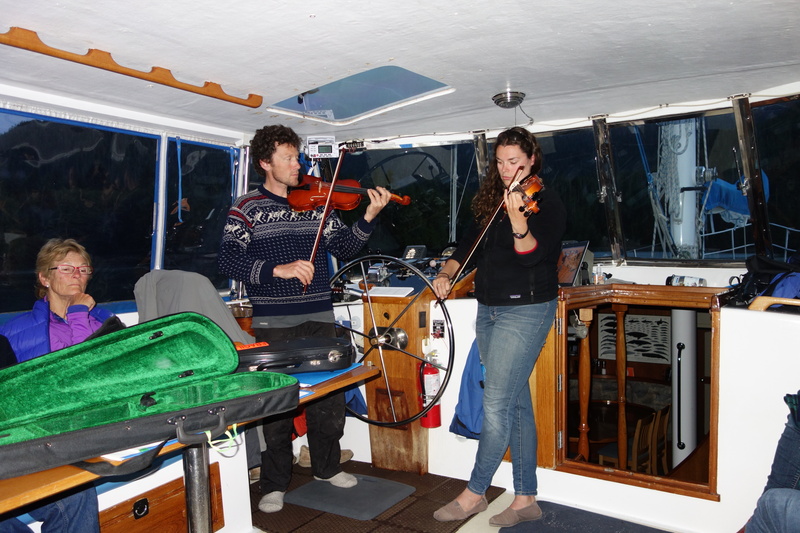 We have just returned from nine days in Haida Gwaii, an isolated group of islands in the north of British Columbia. We traveled on a 68 foot sailboat with a group of 12 people and 4 crew. The landscape is one of many islands and rocks with a temperate rain forest on them (with much moss! ), surrounded by clean ocean teeming with life. 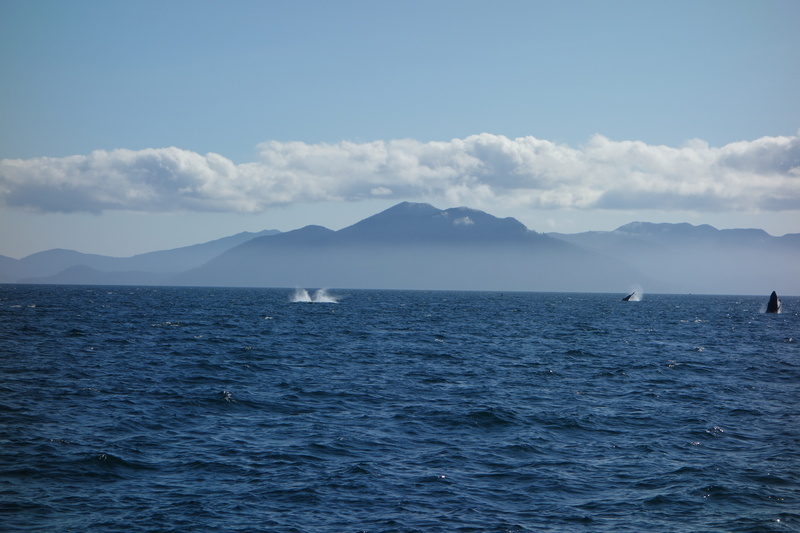 We saw four different species of whales, sea lions, seals, many different birds and a very large number of invertebrates. 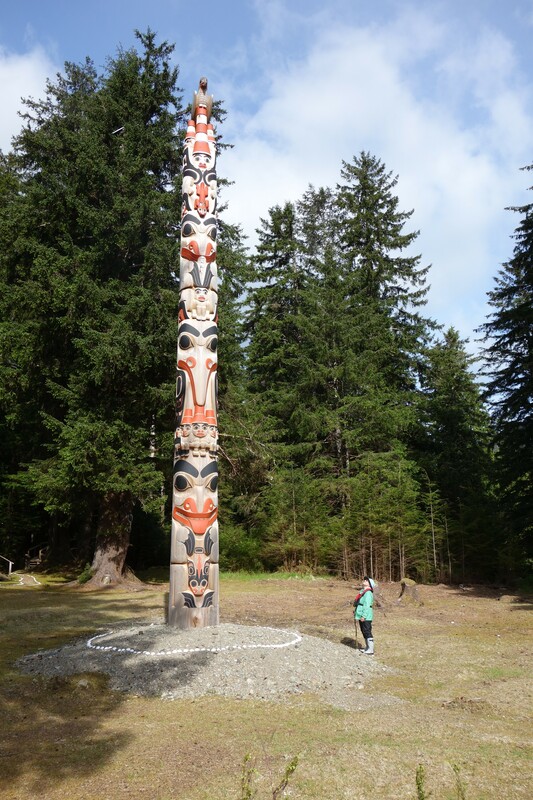 We also visited a few villages of the Haida First Nations. The crew took great care of us and the group was fun to be with. I have selected a very few pictures below and posted some more in our photo section.